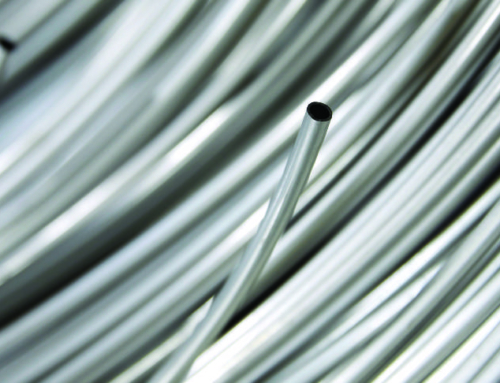 Proper Tubing Selection Improves Chromatograph Performance: As laboratories and instrumentation equipment OEMs continue to drive towards more sensitive and responsive instruments, the smoothness of the inner diameter of HPLC tubing is becoming more and more critical. 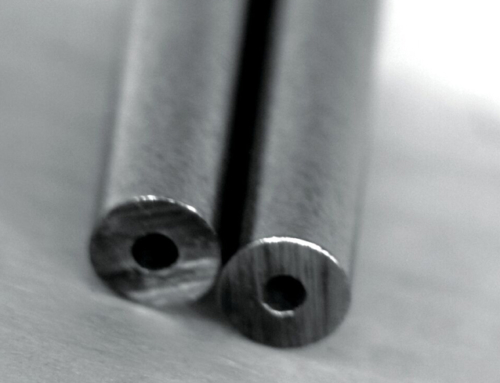 Most HPLC analytical columns are between 3 and 25 cm long and have an inside diameter of 1 to 5 mm. The particles that pack the columns have a typical diameter between 3 to 5 µm. Liquid Chromatographic columns will increase in efficiency when the diameter of the packed particles inside the column decreases. In recent years the demands of system pressures in HPLC instrumentation has been increasing. Therefore there is more demand for high integrity, high quality components in the flow path. For instance, a 4.6 mm ID, 200 mm long column for a particle diameter of 3 µm and an optimal flow rate of 1.5 mL/min can experience pressures of over 7,000 psi (for Methanol [MeOH]) at 30°C. 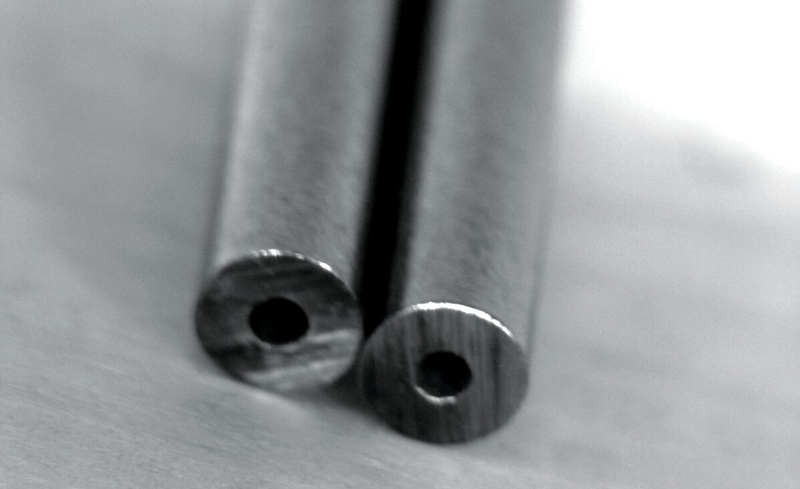 Most HPLC columns are made from stainless steel. However, when choosing the material for tubing the first thing to consider is if it is chemically compatible with the sample and the mobile phase. Too frequently the tubing selected for the fluid pathway has been a source of problems in separations and sampling. Often this is because of the chemical incompatibility of the tubing to the sample and/or the mobile phase. 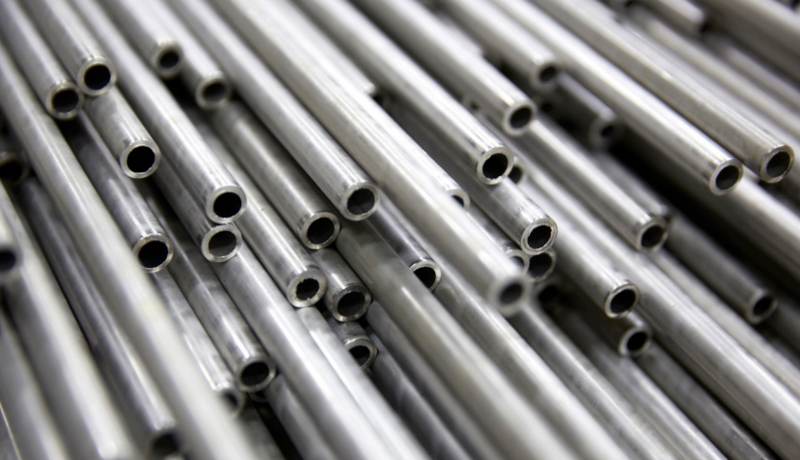 Some samples will “stick” to the surface of stainless steel tubing, causing loss of sample, low yield and carryover. 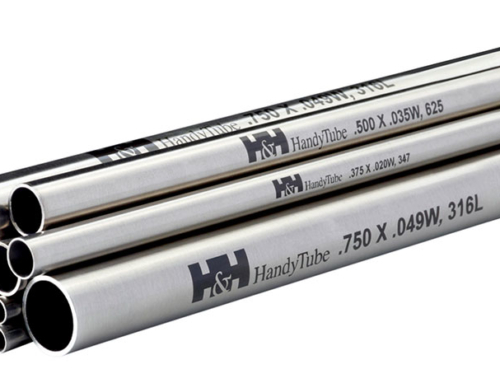 However, if stainless is determined to be the best “material” for the compatibility of the sample, it is critical that the inner diameter of the tubing be free of impurities, such as oil, grease and other foreign material leftover from the manufacturing. Foreign materials can result in cross-contamination and inaccurate sample readings. 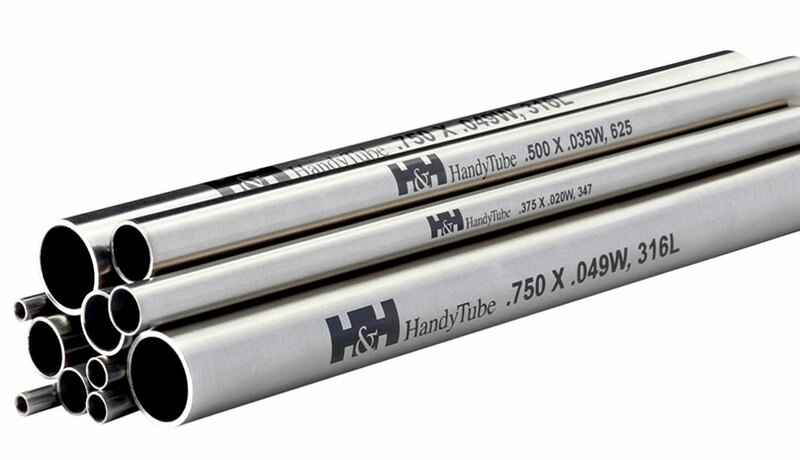 Therefore, cleanliness of the tubing is critical in this industry and conventional tubing typically requires additional cleaning on-site, prior to installation. 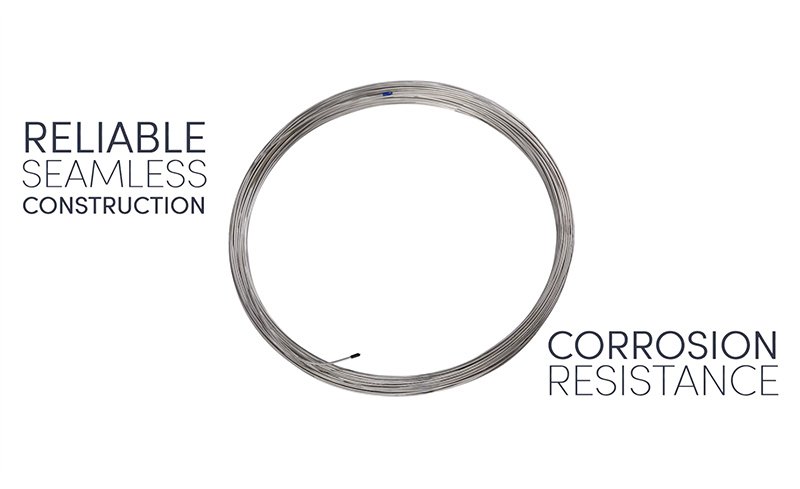 Considering these factors, it is clear that the right choice of ultra-small diameter seamless stainless steel capillary tubing is crucial for the performance of HPLC equipment, particularly at high system pressures and non-ambient temperatures. 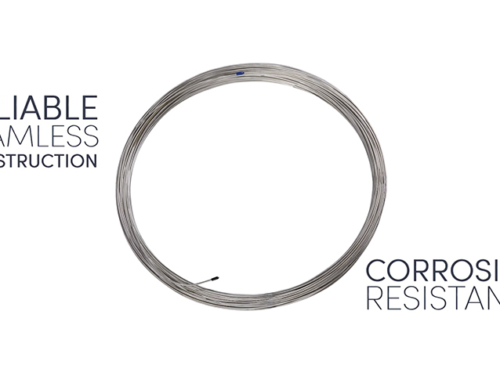 Chromatography tubing should be seamless, have extremely smooth inner diameter surface and be concentric. In many applications it is best if the concentricity exceeds ASTM/EN specifications. This will allow for an optimal inner diameter volume consistency, which effectively reduces the volume in the tube and increases sampling efficiency. This ensures the most laminar flow possible, reducing turbulence to improve system resolutions. A highly concentric inner diameter will reduce flow disturbances at connection points helping to reduce band broadening. A more controlled volume can help to reduce dwell time and lessen diffusion effects, improving overall peak resolution. 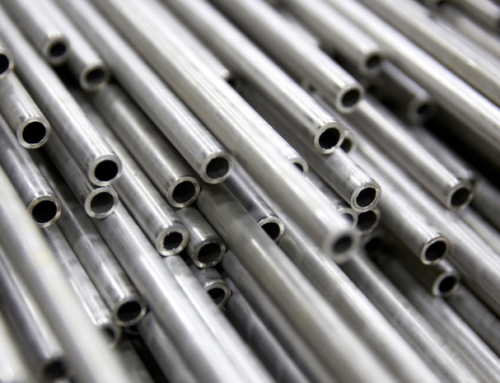 Selecting the correct tubing ensures sample integrity and provides consistent results. It also increases measurement speed and accuracy. A smooth bore in the capillary tube limits Newtonian flow through the sample loop. All of these result in a better sample read. For more information on choosing the right capillary tubing, check out: USD™ capillary tubing with Chromat I.D.™.